ByKelsha 24K Gold Facial Elixir 30 ml. Home ByKelsha 24K Gold Facial Elixir 30 ml. 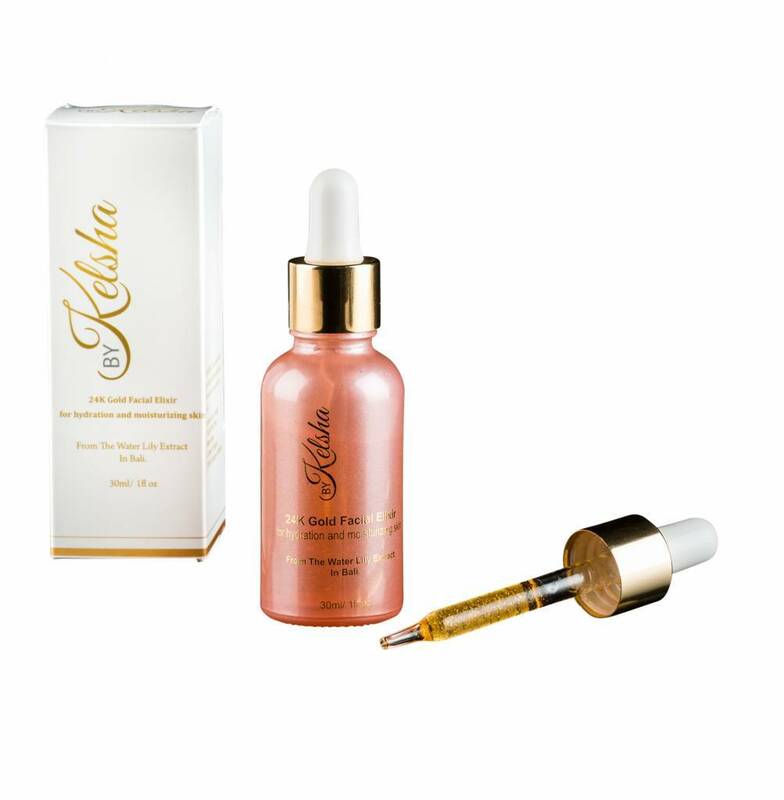 The 24K Gold Facial Elixir by By Kelsha is suitable for every skin type and in no less than five different ways to use. PRIMER : This product provides a perfect base before applying make-up. MOISTURIZER : Gives a smooth and supple skin. RELAXANT : Has an antioxidant and anti-inflammatory properties. AFTER MAKE-UP : Nourishes and restores the skin. MULTIFUNCTIONAL : Makes your face soft, but also your lips and hands. This multitasking serum is something for everyone! The rich formulation of GOLD, Water Lily Extract and Vitamin A, C & E makes you and your skin completely happy.